The spotlight on Ms. Sawant, as one of only a handful of self-avowed socialists to be elected to a city council in a major American city in decades, experts say, could be intense. Her party has supported Ralph Nader for president, but its website also links to the writings of the Bolshevik leader Leon Trotsky. It put up municipal candidates in Boston and Minneapolis this year, though none won. The Socialist Party USA, an older group, regularly fields candidates in state and federal races...."
This is an actual socialist, commenting on the ACA. Not a capitalist trying to sell it off as socialism, but an actual socialist, who believes in socialist ideals, laying it out plain and simple." 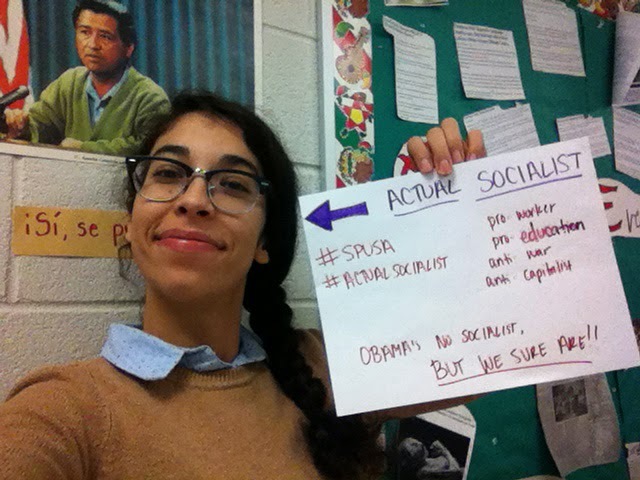 “People call me a socialist sometimes. But, no, you’ve got to meet actual socialists. You’ll have a sense of what a socialist is,” Mr. Obama said. “I’m talking about lowering the corporate tax rate. My health-care reform is based on the private marketplace. The stock market is looking pretty good last time I checked.” We agree Mr. Obama, you're NOT a socialist, but we ARE. Click Here to See the Slideshow!